Yes, you read the headline right, and the screenshots below weren’t doctored in any way. 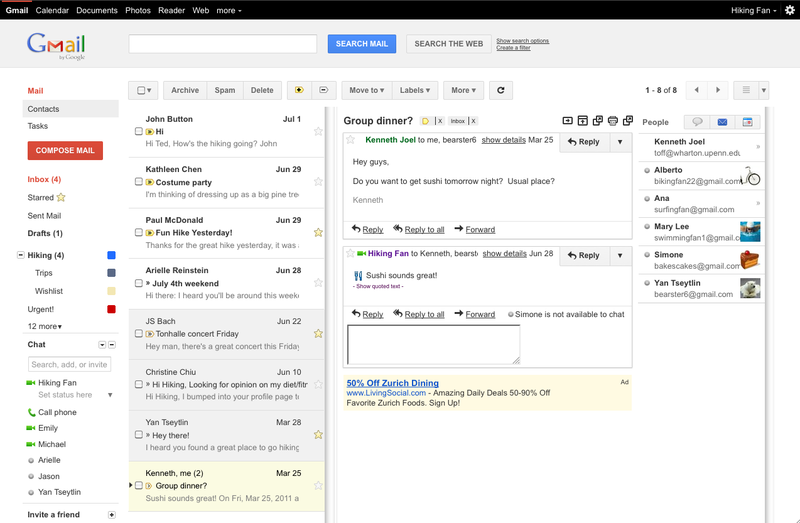 The Gmail feature you’ve been yearning for is here: Gmail now supports three-pane viewing, allowing you to see both your message list and an email’s content at the same time. Of course, the feature isn’t exactly novel — this is something you’ve been able to do with email clients like Outlook for years. The iPad’s Mail client has offered a preview-pane viewing mode since it launched, and Gmail itself introduced a tablet web app with a similar interface last year. And the native Android version of Gmail offers a preview pane as well. But even if the Gmail desktop web app is the last one to the party, it’s still the primary way many people access their inboxes, so it’s a big deal. The feature can be activated in Gmail labs under the option for ‘Preview Pane’. Once you’ve turned it on, you’ll want to click the new button in the upper right hand corner of the Gmail interface to choose between a vertical or horizontal layout. I’ve been toying around with the feature all morning and have mixed feelings so far. On the one hand, I’ve been wishing for a preview pane for so long I can’t help but feel excited. But between the left nav sidebar, the list of messages, the message itself, and then the right sidebar — which includes the new People Widget and ads — there’s a lot going on in my inbox. I’m finding myself wishing that the far-right pane wasn’t there at all. Which is a problem, given that I doubt Google is going to get rid of those ads any time soon. There are also a few kinks to work out, which isn’t all that surprising given that the feature is still a Labs project. My biggest gripe so far: if you ‘check’ a message, then use keyboard commands to advance to a different message, the preview page won’t display the message you’ve now highlighted (it’ll just say ‘One conversation selected’). The feature also messed up my left sidebar — chat was allocated too much space and I had to scroll to access my Labels, though this was easily remedied by changing the size of the Chat list to ‘small’. So it has a ways to go. But I’ll take it.